We are SSAIB (Security Systems and Alarm Inspection Board) approved and TOPS Security Solutions Ltd are a Police and Insurance Industry Compliant company. TOPS Security Solutions Ltd install and maintain hundreds of insurance approved burglar alarms for domestic and commercial properties each year. We have the ability and experience to install wired, wireless or hybrid systems with the minimum disruption to you and your property. From Cottages to large Country Houses and from Shopping Centres to Schools we have successfully installed alarms in every possible setting. We only employ engineers who can demonstrate the ability and understanding that is required to install intruder alarm systems to the highest standards. We are fortunate in that all of our team have originally gained their skills from experienced ‘time served’ engineers who have demanded the best. There are only some things that you can learn in a classroom – and installing an intruder alarm to an 18th century grade II listed house (for example) is not one of them! We firmly believe that experience is the key to an excellent installation. We provide security solutions to businesses throughout the Thames Valley and beyond. From business parks to retail chains with 100+ shops. We excel at adapting to the specific needs of each individual customer, so that they get the solution which is right for them. Trust, being responsive to questions and queries, carrying out work with minimal disruption and flexibility, together with good value for money are some of the key things that our customers look for and it is these things that we keep at the forefront of our business. 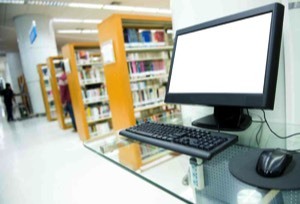 We can help any new customer from the initial system design stage right the way through to handover and ongoing servicing and support. To install an alarm in a house properly will most probably require that the carpets (if fitted) on the 1st floor will have to come up (although maybe not completely) and furniture will have to be moved. But rest assured, we have the experience to put things back as we have found them. If you just can’t bear the thought of your carpets coming up there is a solution! we can install a wireless burglar alarm system which obviously negates the need for cabling (although some of our systems will still require a small amount of cabling). Until recently ‘wireless’ alarms were treated with a bit of skepticism and sometimes this was quite rightly justified as some systems proved to be unreliable and problematic. Now the UK seems to be following the rest of Europe and the USA in developing, producing and marketing excellent ‘wireless’ systems which are on a par with more traditional ‘wired’ systems. Go a few years back and you would really need a good reason to go ‘wireless’’. Now we are happy to offer both, and it really is down to personal preference – some people like the thought of a physical ‘wired’ link to each device and the fact that you don’t need to change all of those batteries (although it is not that often) others don’t mind that so much, and love the fact that we just need to program each device to the panel and then fix it into position! The price is usually very similar to, as although the ‘wireless’ equipment is more expensive to buy, the amount of labour required to install it is less. 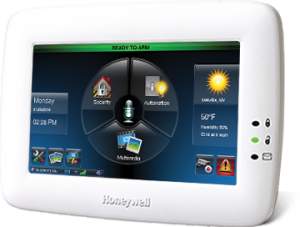 We use Honeywell’s ‘Galaxy’ range of control panels on our larger scale domestic and commercial installations that require a high degree of integration and flexibility. ADI Gardiner are on hand to supply us with all necessary security equipment at a moments notice. They have a large branch in Theale, Reading with most parts available off the shelf. Being part of a national company also means that the more specialist parts are still usually only 24hrs away from any of their other branches across the country. We are registered and certified by the SSAIB (Security Systems and Alarms Inspection Board). This involves regular inspections of both the administration of the company and also the physical ‘installations’ that we carry out to make sure we are working to all current UK and European regulations and standards. We use CSL’s Dual Path signalling devices (Dualcom GPRS G2, G3, G4 and Fire) and have done for many years now. The devices are very good, easy to use and reliable, and their support, back-up and speed of delivery is first class. 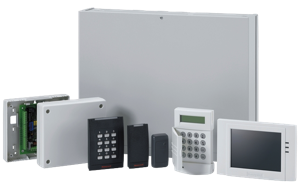 We supply and install a variety of intruder alarm equipment from Risco, from the Gardtec range of control panels through to the Agility Wireless system. We also predominantly use Risco detection devices when designing and installing systems. 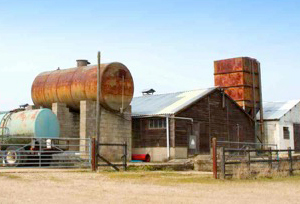 Agriculture is a major sector within the Thames Valley and surrounding areas, and farms and estates still suffer from high levels of targeted crime. We work with a large number of farms and estates in the area, offering effective security solutions to these quite specific environments. We provide security systems to many of the areas Nurseries, Schools and Colleges, and whilst they are not too dissimilar to a business there are a few ways in which we work differently with schools such as working out of hours or restricting work to holiday periods. We work with a number of both large and small building and housing developers by providing security systems to new-builds and refurbishments. Being flexible, quick to react and able to work efficiently with the minimum of fuss are all key things that we excel at. 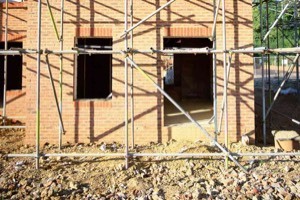 We can carry out 1st fixing, 2nd fixing, complete installations and also temporary ‘site’ security systems.